Dr. Ryan Madder, an interventional cardiologist at Spectrum Health in Michigan, has been a pioneer in the development of telestenting. Dr. Madder has been exploring the feasibility of remote treatment since 2016, when he completed and published the REMOTE-PCI study. In that study, he performed multiple robotic PCI procedures from an isolated area outside the procedure room within his hospital. Procedural success was achieved in 19 of 20 patients (95.0%). More recently, he successfully completed a remote robotic-assisted PCI on a porcine model from 103 miles away. He presented his work, Robotic Tele-Stenting Over Long Geographic Distances: Progress and Barriers, at the annual Transcatheter Cardiovascular Therapeutics (TCT) conference this year. An article written by TCTMD on the topic made the list of top 10 most read stories in October. Also at TCT 2018, the first live transmission of a remote robotic demonstration was streamed from Mayo Clinic in Rochester, MN using CorPath GRX with developmental remote technology. Dr. Gurpreet Sandhu remotely manipulated interventional devices within a porcine model located in a different building on the Mayo campus while communicating with the lab via a remote telepresence system. 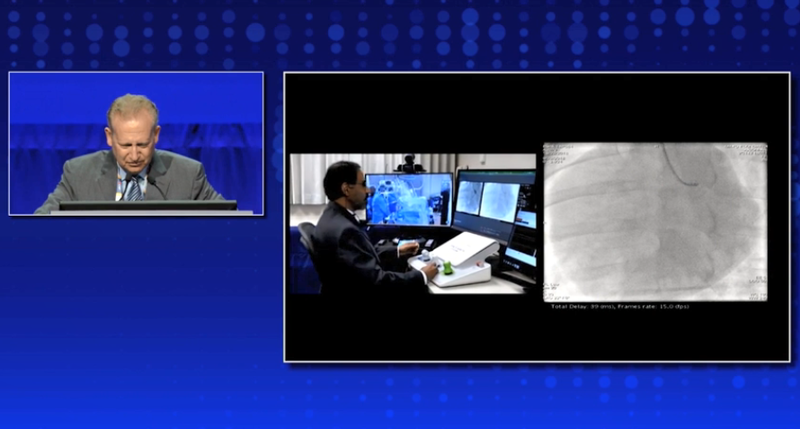 Watch the full remote demonstration from Mayo Clinic at TCT 2018. 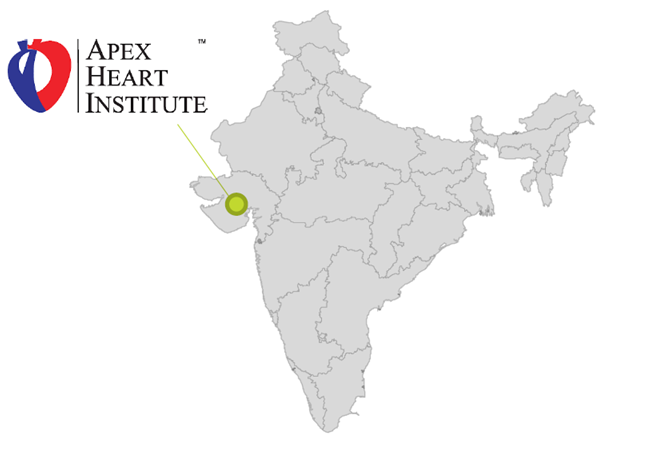 By the end of this year, we will be partnering with the Apex Heart Institute in India to complete the first-in-man remote PCI from a 32km distance (~20 miles). Dr. Tejas Patel, an internationally acclaimed physician who has performed over 250 robotic procedures with CorPath GRX, will be completing the first-in-man telerobotic cases. These first-in-man cases mark a major milestone in the development of remote technology. Remote technology has the potential to transform interventional treatment across all vascular platforms. Following the first-in-man study, we plan to continue optimizing our remote capabilities and work to expand our indication for robotics to address stroke care. Interested in learning more about robotics? 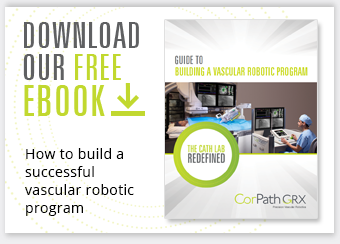 Contact us here or click to download our free eBook, Guide to Building a Successful Robotic Program.